How do you start your crochet rounds? I see lots of people start with making chains. 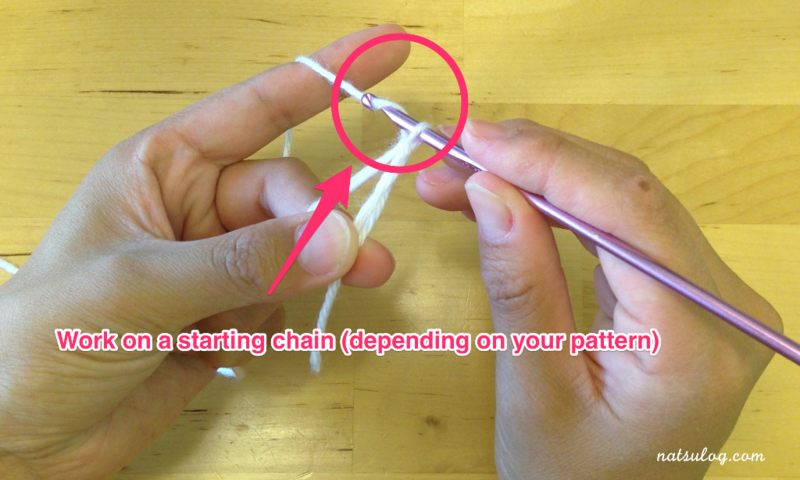 For example, when you want to make 6 single crochet as a first row, you will make 2 chains and make 6 single crochet into the 2nd chain from the hook. 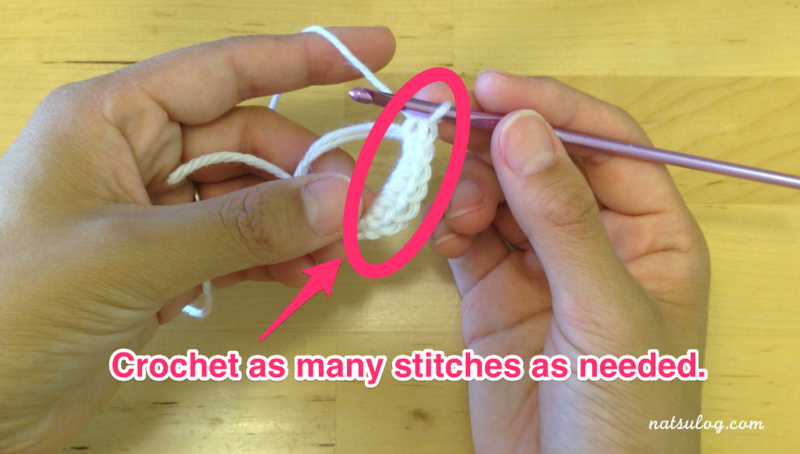 That is an easy way to start with, but it might not be the best way to make a hat or an amigurumi. You can see the difference in the picture below. Apparently, double magic ring looks better without a hole or gap in the middle. I always use “double magic ring” to start a round. I’ve also tried “standard magic ring”, which was easier compared to “double magic ring” but more fragile. 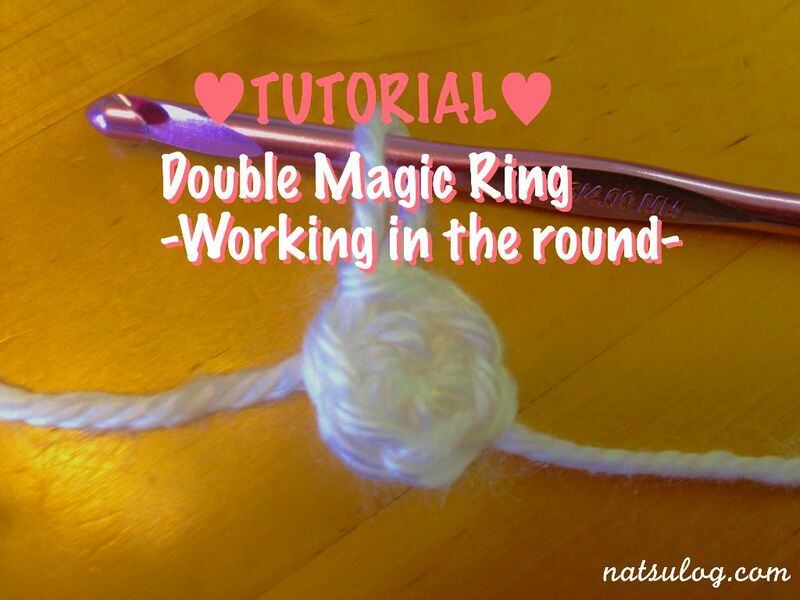 Especially when I work with a thinner yarn, I prefer “double magic ring” because it will add durability. So, I’ve decided to give a step-by-step tutorial about the double magic ring with lots of pictures. 1. 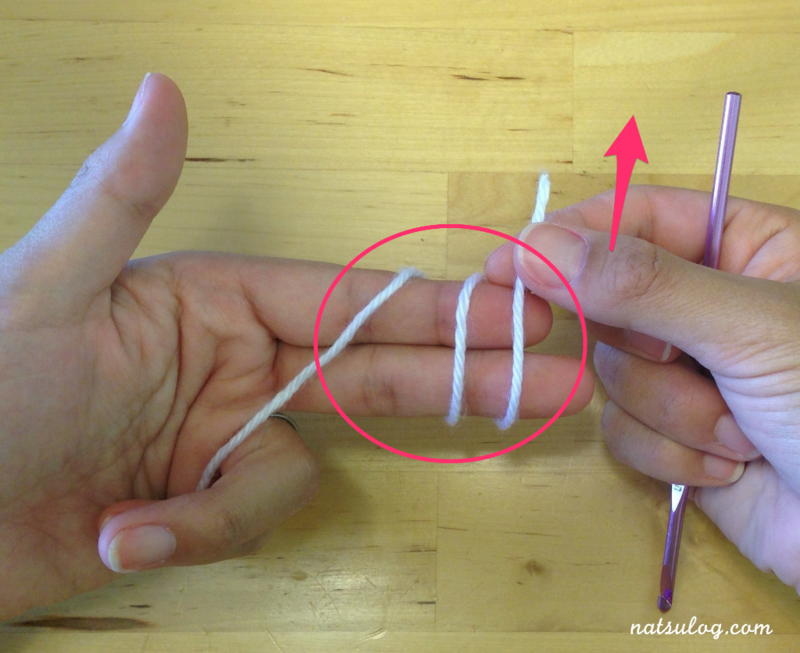 Wrap the yarn around your fingers twice. Take the tail with your dominant hand (in my case, right), and wrap it onto your non-dominant fingers from the front to back twice. Some people just wrap it only around the index finger, but I prefer wrapping around the both index finger and middle finger. Now, you have the tail end pointing up. 2. 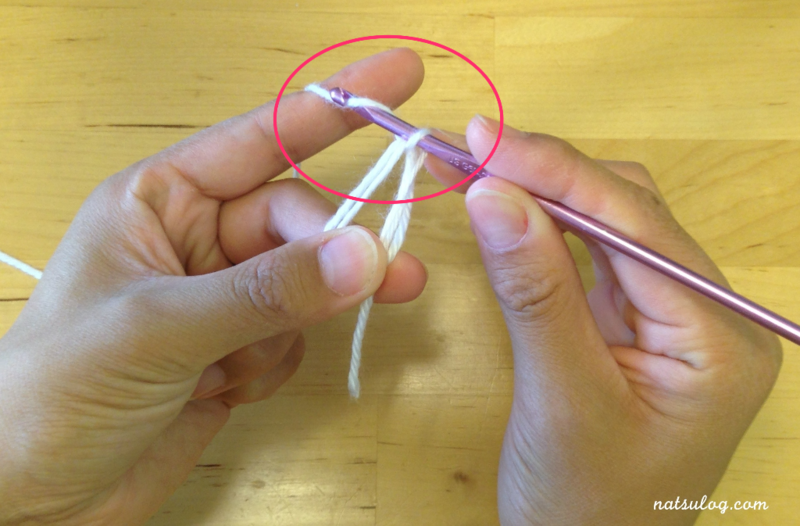 While you have 3 lines of yarns around your fingers, grab the joint point of the yarn and take the circle yarn out of your fingers. 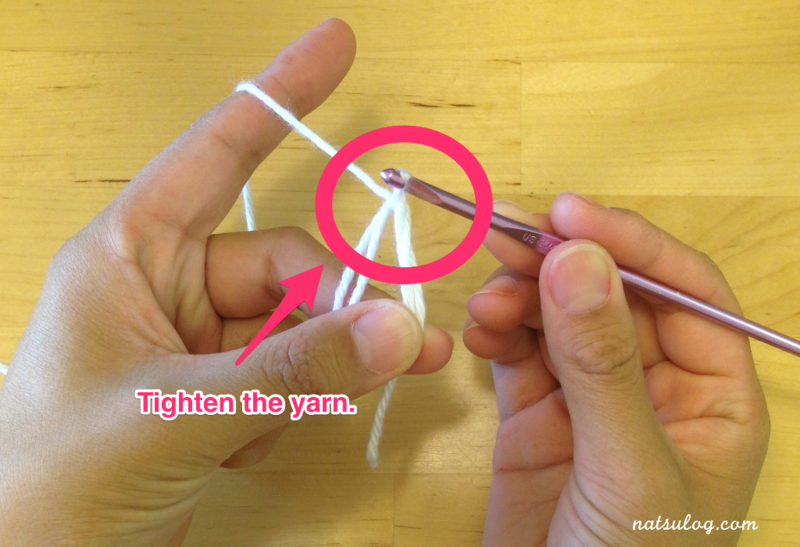 Turn the circle yarn for 180 degree, and now hold the yarn how you feel comfortable to sustain with your non-dominant hand. Make sure the tail should be in front and the working yarn should be kept back. 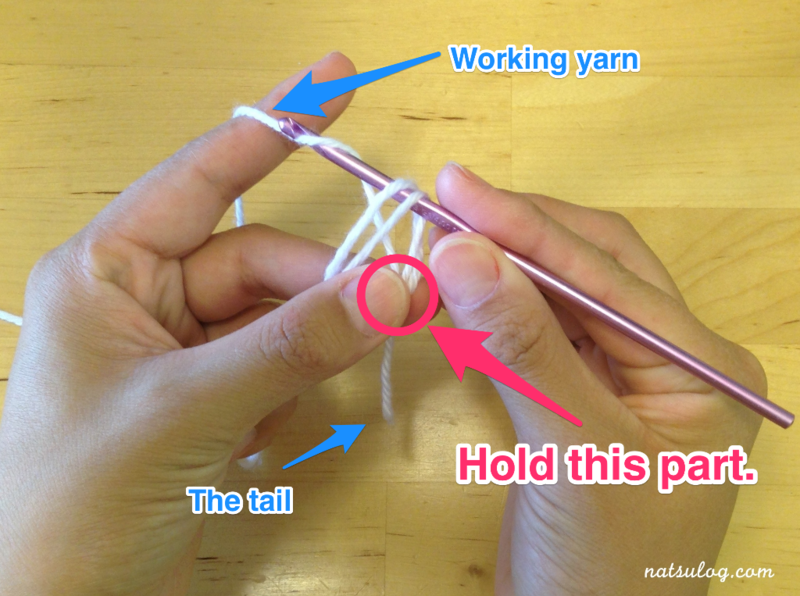 Here, please do not forget to press the joint part of the yarn with your thumb and middle finger so that they won’t move. 3. 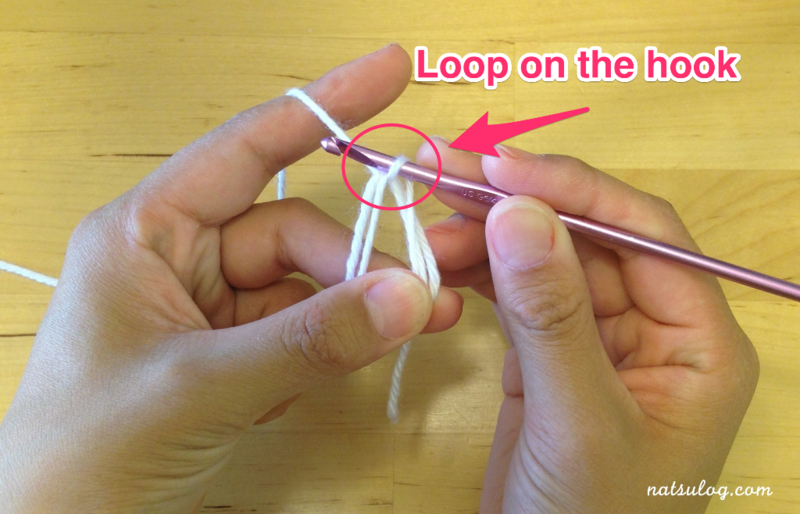 Insert your crochet hook into the loop and grab the working yarn from its back and bring it back to the front. Now you have a loop on the hook. 4. 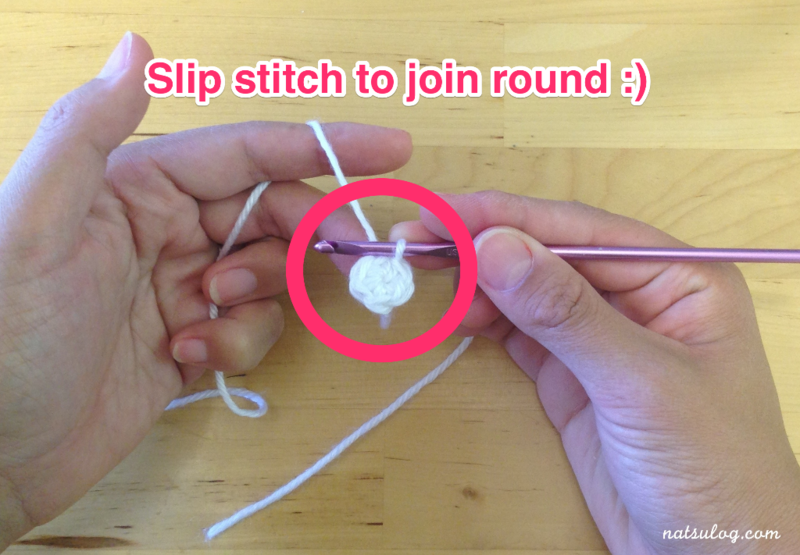 Wrap the yarn over again and pull it back through to the front (this time, you wouldn’t go through the big circle but just through a loop you made in the previous step), and now you have created a chain stitch. Some people consider this chain as one of the starting chains, but I would take the method, saying until this 1 chain is considered to be a foundation of “double magic ring”. So, tighten the yarn here. 5. Depending on your stitch pattern, you will make starting chains here. Normally, you will need 1 chain for a single crochet pattern, 2 chains for a half double crochet pattern, 3 for a double crochet pattern. 6. Crochet as many stitches as needed for the first round. 7. 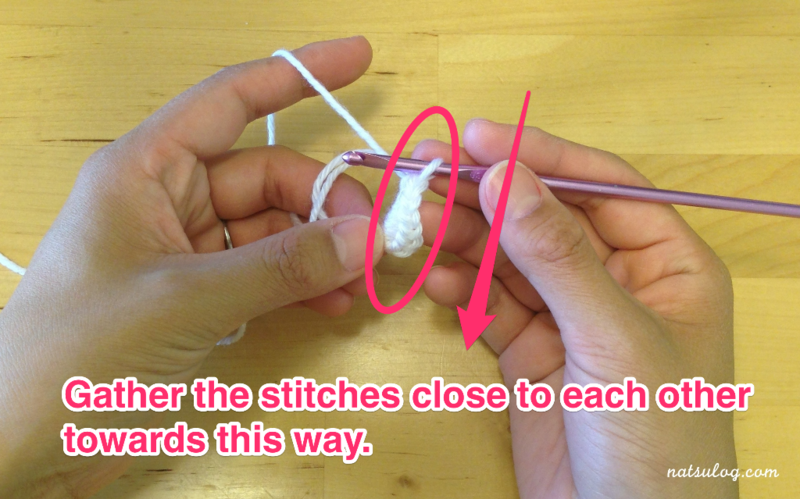 Gather the stitches close to each other (pull the last stitch towards the first one). 9. 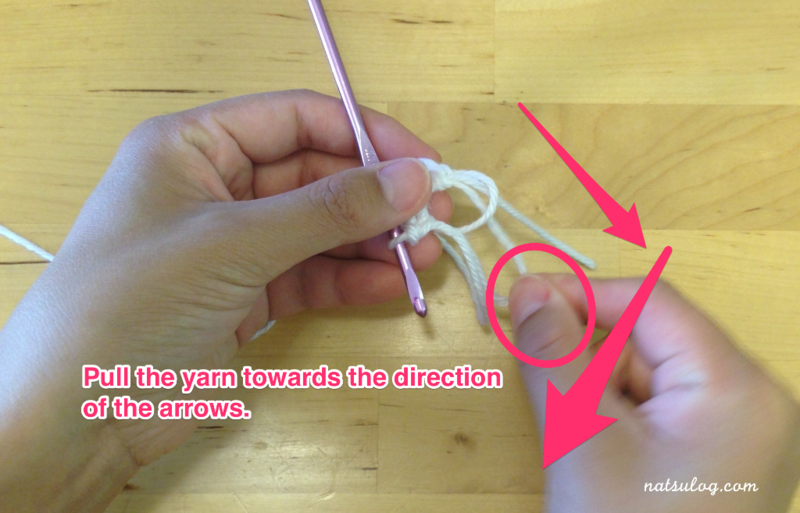 Pull the yarn (which you’ve checked at step 8, front loop) towards left so that the other loop gets smaller. Pull it until you close up the other loop. 10. 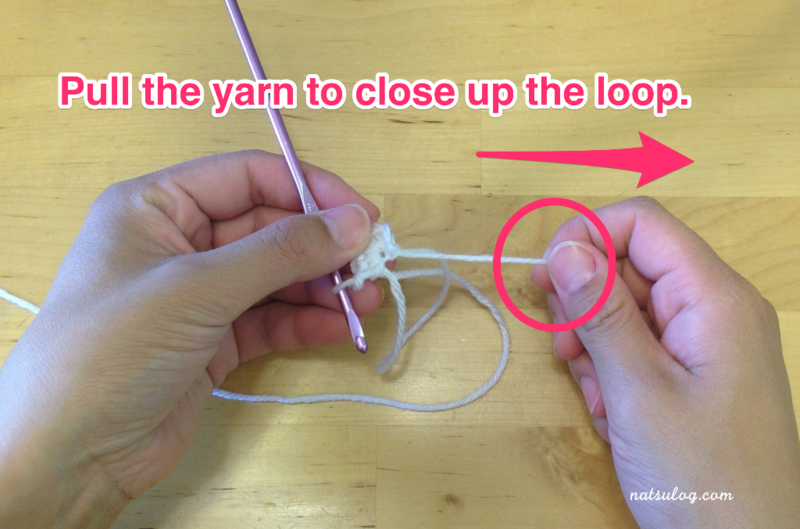 Pull the yarn tail to close up the loop. 11. Slip stitch into the first stitch to join round. Or if you prefer seamless surface, you may keep working onto the next row. You may need to practice making a magic ring for a few times, but once you master the method, it will be more enjoyable to work on a round. 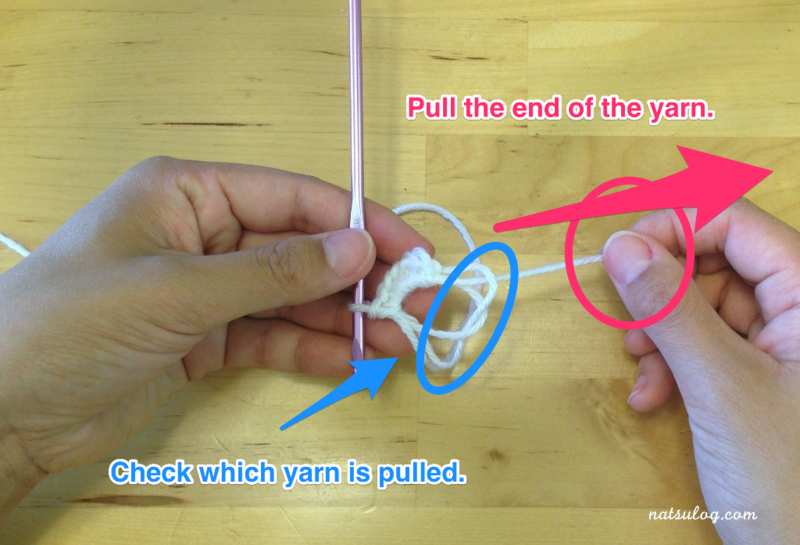 Most amigurumi instructions use double ring method I was stumped on what to do with loose loop after when first is tightened. I normally use single wrap. Your photos explains it clear and I can check on YouTube on how double magic ring is done. Need some practice with this one.